Atlanta Hawks Media Day is only 5 days away at September 24 and the Training Camp is scheduled on Sept 25-27. And less than a week, the first of four preseason games (Pelicans, Grizzlies, OKC, Spurs) will start on October 1 until October 10. It will be interesting to observe and analyze how coaches will define Jeremy Lin and Vince Carter as the new veteran players in the new system. Jeremy Lin and Trae Young are the only two obvious Point Guards (PG) so both will be expected to play the majority of the 48 minutes. Tyler Dorsey and Jaylen Adams are listed as the other PGs in the CBS Sports depth chart. Atlanta Hawks Basketball Club will host the team’s 2018-19 Media Day on Monday, Sept. 24 at the Emory Sports Medicine Complex from 11 a.m. – 1:30 p.m. The Emory Sports Medicine Complex is located at 1968 Hawks Lane, Brookhaven, GA 30329. Media is required to RSVP to [email protected]. With the majority of media day activities occurring on the court, media should wear soft-soled shoes, sneakers or flats and refrain from wearing high-heeled shoes. Any lights or tripods should have rubber caps to prevent any potential damage to the court. When camp practices begin at the Emory Sports Medicine Complex on 9/25, media members will have access to the final 15 minutes of each morning session. Please contact Hawks Communications to confirm all practice times and media availability. The evening session is closed to the media, and all sessions are closed to the public. Following is the practice schedule for 9/25 – 9/27. Wednesday, September 26: Morning Session – 11 a.m. to 1 p.m.
Thursday, September 27: Morning Session – 11 a.m. to 1 p.m. I can’t wait for Lin’s first game in Atlanta. Lin must feel excited to start another season with his injury behind him. He will have to play in his new moves and acquired knowledge from Rick Celebrini. (Now both Steve Nash an Rick are in GS.) His connection with Fortius Sport & Health is invaluable to him and his teammates. The all-around big man made huge strides last year and is back for a second season with Atlanta. 1st and 10th only in atl. *perhaps the lin-cyclopedia could explain the revised #s of players permitted on roster in various status; ie. actually active & permitted dressed to play at game, on regular contract, two way, and whatever the heck a “exhibit 10” is. btw hawks did sign cole aldrich as was reported to be done earlier; imo a decent player who just hasn’t had much playing time. certainly better than a lot of the stiffs upfront lin had in brooklyn. player lin is replacing schroeder led tournament in scoring. 1. Normally an NBA team can have a maximum of 15 players on its roster during a season (and up to 20 during the offseason, starting on the day after the team’s season ends). 2. A team normally has 12 or 13 players on its Active List, who are eligible to play in games, and can have as few as 11 for up to two weeks at a time. 3. Any remaining players must be on the team’s Inactive List, and are ineligible to play in games. Teams temporarily can have four players on their Inactive List (bringing their roster size to 16) with league approval in the event of a hardship. 4. A team gets two roster spots exclusively for Two-Way players. A Two-Way player must be on his team’s Active List or Inactive List while playing in the NBA. players if it does not have any Two-Way players; 13 and three if it has one Two-Way player; or 13 and four if it has two Two-Way players. Media day is coming! Back to NBA mode! Officially Hawks roster lists only 2 PGs without including 2 way contracts. Would you play both of them at the same time? The risk would be prohibitively high. If one of them has to be watching, who would you rather be; the rookie or the veteran whom you pay $13M+. I rest my case. Chris Vivlamore: I asked Lloyd Pierce who will start at point guard – Jeremy Lin or Trae Young. “Competition,” was the answer referring to training camp. Brad Rowland: Pierce simply states that Jeremy Lin and Trae Young will be in competition for the starting point guard job. Brad Rowland: Pierce says Lin “looks great” as he recovers from injury. I think that’s a fair statement. The guy outcompetes the other one getting a starting spot. Can’t ask for more. Fair play! It all depends on Lin’s performance on the court. No one dare say that Lin will be back 100%, probably including Lin himself. Remember, Lin earned that contract before his injury. He is a new Center for Hawks, and old teammate of Lin. “do you foresee him as the starter”. i feel as if it’s just lip service and trae is slated to start from the get go. lin is seen as a bench piece in this league. mchale did this to him…. never forget!!! I am afraid that I feel pessimistic too after listening to the press conference. Sigh. You are correct. I mis-read the news report. same feeling when i heard marks talk during summer league before the trade. only non-committal statements. all lip service. when your gm trades for you but then not one mention of you = bad, bad, BAD feeling… looks like lin was a salary dump after all…. also he will forever be seen as a bench player if he cant even start on a tanking team. Well, Lin has one option: a buy-out. That’s what he meant during an interview a few weeks ago if I got that right. it’s too late. lin will get playing time, it just wont be worth anything. lin’s not the type to quit on his teammates and coaches even if they are tanking…. lin’s a little too naive. doesnt look out for himself enough in a cutthroat sport/business. at some point? sounds like it’s a done deal honestly. lin’s only hope to start would be next to trae, not in front of him. yet they dont have a true 3rd pg meaning lin is the de facto 6th man/bench pg…. another wasted year, one year older, another year as a bench player, etc. his career is done. he’ll never get true opportunity again. i dont want him to be a livingston, i want him to be a curry. He needs a place he can start but may be the 6th man at the beginning. im tired of Lin not in the playoff and stuck with bottom feeding teams are not gonna get you annywhere. Next yera is to show he is healthy. It was always going to be about that. That to me is the waste. lakers stealth tanked. they at least started lin before benching him for ronnie price. This website is going to be congested with illogical posting from panic at infinity. Within a month, he will be exposed as the infinite void. i was right, you were wrong. all they talked about was development. Lin is a smart guy and he learns quickly. After all this years of up and down, he knows what’s best for his career and he will make desicions if needed.There is no type of guy thing. Everyone need to learn and adapt and make new dicisions according to the changes of your surroundings. Pelicans! They need a true PG. Lin will shine there. and maybe LIN knew this the soonest he was traded. that’s why his being silent on the hawks future ,different from his previous Positive attitude towards new team…hope he will be given little opportunity to showcase himself and then find another team that needs him..This hawk is NOT JLIN’s decision, his no trade clause was not a deterrent for Mark, and will not be a deterrent to any other GM if they chose to do it! fair play between a Rookie and a veteran player? ?remember the words of Mr. mchale??? actually , i see it also and not because of Trae, but because team wants to rebuild..Trae will be their first try, if it didn’t work, then there’s another draft until they find who they are looking for..and Lin seems not in the picture for them? next year, they have as a space the amount of Jlin salary and they could get another player or two for that price…(salary dump) But still hoping i am wrong and team hawk wants to win more with Lin. Lin got injured, remember? A serious one, could be career-ending type. It’s fair thing that the GM and coach are concerned about his rehab. It’s realistic that Lin have to prove that he can play at high level after that injury. Talent acquisition is an on-going thing. Andre Iguodala is not drafted by GS but the team can’t possibly win championship without him. As I recall, he was awarded playoff MVP once. KD is not drafted by GS too. Travis must know the process of talent acquisition is not limited to drafts. He has spent a lot to acquire Lin’s service. This is the only guarantee I need to confirm that he is high on Jeremy. He literally said Lin is a very good player. What more do us want? Ok guys @linthezone:disqus and @kwok_wai_lai:disqus lets agree to disagree and move on, please. there is no problem with your analogy if that really Hawks FO’s thinking, but at this point, we don’t need to argue about it but instead wait for the actual event..your idea can be the truth if it happens while as to other who are different than yours also, but no one right now has the monopoly of truth until the event takes place..just chill and let us see if this is the team for Jeremy. On the record, how many teams get to championship through tanking. Cavalier’s could not have its championship without LeBron, a free agent. All those rankings will not yield a champion team. How do top draft picks lead to championship? The result is pathetic. Minnesota have had Wiggins and Towns, the team is nowhere close to a championship. Looking at top teams in NBA, starting with GS, we see no tanking. The best draft picks they had was 7th. The next best team is the Rockets. Did they draft any well known lottery picks? Boston Celtics have got most of the draft picks from Nets. Boston don’t need to tank for the picks. How many top teams get to the top through tanking? Hardly any. Yes, we have the 76ers. Let’s discuss this after it ever gets past the Celtics and the Raptors. I am sick of tired of those stupid suggestions for the Hawks to tank for lottery picks. The changes of a draft is so unpredictable that renders tanking ineffective in talent acquisitions. Those naive suggestions of IW for rebuilding are absolutely against common sense and can’t even pass the eyes test. None of the champion teams in the last decade got to finals through tanking. For someone who has pushed the panic button so often, his postings about Jeremy are unreal. Despite IW’s frequent proposal that Young will start for the Hawks, Lin will start instead. Lin will have a very good season and Young could barely survive as a bench player because he doesn’t have an NBA body. Common sense will prevail over fanatic wishes of IW. I made the suggestion but I W wasn’t interested. How many of the above have led their teams to championship? Hawks are not looking to win right now, they will the starting and green light to the rookie. 13mil is nothing for a 1 year rental. It’s just so they can free up cap space for next season. Hawks are looking for their franchise with 3 more 1st round picks. They are only using Lin to help train and shield the rookie when needed. We’d be lucky if Lin starts for he entire season. FWIW his first post in this thread was not about lin, not about basketball, but about me. he also constantly insults me like calling me a “ruthless liar”. nobody is saying if you draft the 1st pick you are guaranteed a championship. instead, tanking gives you better odds at finding that generational talent. spurs tanked to draft tim duncan. he then lead the team to 5 championships and dominated the west for close to 2 decades. tanking works if you’re lucky enough to draft a generational talent… if not, then tank until you do…. tanking by itself only gets you a better draft pick. you still need to have good scouting and coaching, etc. to take advantage of your draft pick/draft position. tanking is only one part of the puzzle and it’s only one way to construct a good team. some teams, usually big market teams, have the ability to draw big name free agents. what do you tell the small market teams? they have no chance to sign a durant or lebron. tanking is VERY attractive for these teams as the draft is their only way to get top tier talent. Lin fights the good fight not just for himself. He fights for all of us. He fights for our futures on this earth and our souls on the other side. They can do everything they can to exclude us. They can try to make up all the rules to hope we would simply die off like they did with the Chinese exclusion act “https://en.wikipedia.org/wiki/Chinese_Exclusion_Act”. Our Asian American ancestors paid a bigger price to plant deep roots for us all. Lin is doing the same for us now. We can be sad that Lin has been cheated by the league that don’t want an Asian star, but he’s playing the long game like our Asian American ancestors before us. Lin’s our trailblazer. We should never forget the price he’s had to pay personally, instead we should celebrate his accomplishments. Another fantastic portrait of JLin by Yu-Ming Huang. We too wonder what will be the story for JLin this season with the Hawks. As many of you already noted, Lin seems to be more standoffish with these new teammates. Maybe he’s tired of forming these close bonds with past teammates. Only to end up moving on. Here’s another Hawks team workout this week (yoga). NO LIN. (But also don’t see Bazemore or Dedmon.) Maybe this is not recommended for his knee rehab. Speaking of old teammates bonds. DMo was interviewed by “Dennis Ginobili”. Now playing in China, after having been screwed over by Daryl Morey. He seems to have recovered just fine. Played well for the Shandong Golden Stars. As usual with the bigs, Lin had great chemistry with DMo. Would fit in with the Hawks. A big who runs and can hit the 3. (Forget whether he was good on defense.) DMo said Lin was really good to him on the Rockets and they still keep in touch. Have a few rambly thoughts. Seeing the debate here is interesting. When debates get heated, views tend to be more polarised and extreme. Lin is an expiring contract and a mentor. He is also a starter vet who will lead and win. To me the Hawks may just think that it is a win-win and they will be happy with whatever they get from Lin. Tanking? Maybe but that doesn’t mean Lin won’t get good stats. It also doesn’t mean that the tanking will last indefinitely. It may just be a season and either Lin is retained as a valued player or he gets a better contract elsewhere. Me I just wanna see Lin play, and not Atkinson’s awful system. (Sorry I like Atkinson as a person but his system was just bleh). Yet another ex teammate Big Al Jefferson. Now also in China playing for the Xinjiang Flying Tigers. Looks like he’s lost some weight, a lighter Big Al. Always liked Big Al too. Almost automatic in the post. But, unlike Dwight Howard, not as much of a shot blocker. But, also unlike Dwight Howard, unselfish and will pass back out to the perimeter. Lin also had chemistry with Big Al. Al says Lin one of the best teammates he had. JLin’s business empire is expanding. LOL. His VGJ teams just added another team, to branch out into Fortnite competition. From the Erie Bay Hawks (Atlanta Hawks G-League team) now to the parent club. It just took a 6 year detour. Did you guys know about another 6 degrees of separation with JLin? Had read that Lloyd Pierce was teammates with Steve Nash. But didn’t know that they are such close friends. LP got married recently and Nash attended the wedding. Long article, but NICE READ, if you have the time. Speaks to how LP sees point guards and team culture. The problem is the conflicting concept of a team sport and true competition to win (Lin), against the NBA concept of anointed superstars and politics and the “business”. Some of us Lin fans have a hard time reconciling the two. I agree. It’s a low risk move for the Hawks to get Lin for this year. The old cliché, Lin can’t control what he can’t control. Stay healthy and hopefully the rest will take care of itself. Hey, you guys in NYC, want to try and win some tickets to see Hawks play the Knicks? Go for it! You just wrote a long thoughtful post. And all I can say is like your NEW AVATAR! Not sure. I had League Pass last year. But the “Fox Sports Go” App is free through TV provider. And maybe will stream the games? Try it when season starts? Wow, he kept the Maserati. I don’t know how much driving he’ll do. From what I hear, Atlanta traffic is not much better than NYC. yes to everything in the post i am replying to. all important points with which i am in total agreement. The infinite wisdom is forever tank. “Competition, that’s the beauty,” Pierce said when asked who might be the starter with training camp beginning next week. Pierce said Lin has been in Atlanta for about a month and participating in open gym workouts, where the coaching staff can watch play but not instruct. great. He’s progressing at the pace he is supposed to. We’ll find out a whole lot when we start on Tuesday and how much he can keep progressing.Training camp is until we get to Oct. 17 (the regular-season opener). Well lets hope that connection will allow Pierce to treat Lin better. Even if Lin is not in their long term plans it’d be nice for him to get the green light so he can play his game and get a big contract! No reason why Lin and Young can’t start together with staggered minutes! hawks will stream on facebook. lin’s most recent former team nets one of a few not streaming media day. The invisible link between Lin and the Hawks is Steve Nash. Fact speak louder than words.. It was something a Lin fan had posted a few years ago. I reworked it digitally a bit. I’m glad you liked it. Lin is not likely to get a better chance than he had in Brooklyn with as Asian minorities/minority owner and a believer coach. Our faith in one of our kind was shakened. I believed Lin’s own faith was also shaken. I feel as if one of own kind threw our dreams out like a dog…but the truth is Joe Tsai isn’t one of our own. He’s now a super rich with the same logic as the elitist 1%. Should we be surprised that he thinks of money first? His path to wealth is his code of conduct and is his reflected in his actions. Lin was like one of his bad stocks he traded away or a useless employee that he saw no need for. I’m not counting on Lin to be starter now in Atlanta. More than likely, Lin will reprise his role in Charlotte where he’d come in to clean up the mess left by the rookie starter. The upside is Lin will have a chance to rebuild his brand while still servicing his master’s needs. I’m sure Lin will help his young protege just because that’s the kind of guy he is. If given the same chance as Charlotte, Lin should remember the lesson he learned from the Nets and remember that helping others in this dog eat dog environment will ensure his own demise. I hope he finally realize that he needs to be the same Jeremy Lin that took hold of his own destiny in the first game of Linsanity against the very same Nets. He needs to let the big dog eat and leave the scraps for the rest. “Veteran coach speak from a first year head coach, giving us little information before training camp begins. Sure, there will be competition, as Lin has proven that he is a quality NBA body in multiple stops during his career. But make so mistake about it, this is Trae Young’s job to lose. I can only hope that Lin is being aloof because he realizes his own predicament now. If he wants to ensure his own future in this league, he must take it the same way he took it when he stepped onto the courts at MSG and made himself the undeniable leader of the Knicks. I hate how the interview was fakely about Al,..when in fact they end up keep asking about Lin. So annoying with the interviewer. You interview the person regardingmostly him…not another player constantly. That’s what’s annoying with all these inexperience chinese broken english interviewers. Give Al the respect he deserves. Nets backstab should be enough of a wake up call for him! People are already calling Lin as if he’s about to retire. There’s no way Hawks will make Lin their franchise, forget it they have way too many 1st round picks to find their cornerstone! If Young flops they still have 3 more chances and year to develop him hoping to find their Klay, Draymond, with the other picks. he’s not a friend of jlin because he is a friend, he befriended jeremy because he knew he will improve his gave with lin’s help..i saw his head go big when he SNAPPED at lin in one of houston game before…He’s just an acquaintance as i see it because on how JLIN cherished his true friends..
Jeremy won’t MISS this kind of BOnding before trading to hawk because that is who he was…my question is, why a sudden change of attitude after the trade??? While some of you pay too much attention to non basketball factor, I stick to the fundamental. Lin needs to be a very good player to command respect. He is. That he has recovered really well from the injury is the common jurisdiction. He is less dependent upon others to play well at this stage of his career. He is a really good player. This is the primarily important thing for Lin to earn his new lease of life in basketball. This team needs players to win games more than stars to sell tickets. This is about the GM keeping his job. He will go for the best players available. In that case, I have nothing to worry about Lin. First thing always comes first. The other factors will be compensated when time comes. Lin is for the present which looks good to me. The future is as unpredictable as the breakout of Linsanity. My believe is Lin will be given every opportunity to succeed because it will look good for both the GM and the coach. Jeremy with the Creative Director of the Hawks’ photo shoot, last week. Lin looks sharp and ready. They recognize big Al as a friend of Jeremy. If the people there all do that, it’s not about dissing big Al. People in America has done much worse, more personal than this to Lin. Lin is noticeably leaner and could be lighter too. definitely Linsanity 2 on the run. Conincidence? Take two. 711 in da house! The media is still interested in Jeremy. Jeremy said at the Hawks Media Day that he has been “fully cleared for everything” and hasn’t experienced a setback. However, the team will monitor how daily practices and eventual games affect his knee. And then he talks about Atlanta being professional. Not so subtle Marks diss? Sounds like the Hawks and Pierce have been honest with him upfront. He’s there for one season, and if he’s good and healthy, he can be traded to a playoff team by the deadline. I’d love to see him on the Celtics. Kyrie’s always injured and Brad Stevens is a brilliant, high character coach. He’d maximize Lin’s impact, if only for 20-24mpg. Not to mention we could see Jeremy play in the NBA Finals. Are they worth tanking for????????? This may be the roster that you’re going to get after a painful tanking. Last season, this team had Jimmy Butler too. Would Atlanta want to trade its roster with Minnesota? Common sense tells you that tanking could have outcomes like this. Of course, Infinite Wisdom wouldn’t care less. He thinks it’s fun to tank until you acquired the top picks that you don’t know what to do with. “Keep on tanking until you get what you want: a total disaster.” is the recommendation from Infinite Wisdom to take a team to hell. Good observation. It’s possible JLin did feel some things were not done the right way regarding the trade on the Nets FO side even if they tried to do it the right way. But he knows it’s water under the bridge and only his plays can prove it otherwise. Let’s hope JLin can play relax, have fun, and most importantly stay healthy. Being traded to a playoff contender like Boston would certainly give him a chance to showcase his skills similar to his Hornets playoff run. When Lin is healthy, he needs this team no more than this team needs him. He will be an UFA next season. Jeremy is in Atlanta because the team needs him now. He is paid well. The future of Lin is in his own hand as much as in the hand of the team. He can choose as much as the team can. A healthy Lin is an asset most teams need. Lin is a very versatile player. He will be a hot item for many contenders in NBA as long as he is competitive on the court. Atlanta wants Lin to do well or else the GM will take hits of acquiring him. This is a good enough situation for Lin to do well. Jeremy is always the brightest player on a team. being traded to the Celtics… it seems like a match that has been in the works for a few years. It seems like Lin’s most complete games have come against Stevens. Would be cool to see Lin finish his career with the Celtics.. and a ring! why do you keep talking about me? are you obsessed with me? and your bias is showing. WHO the team picks is based on their scouts and front office. WHERE they pick is due to tanking. how do you still not understand this? and for the record i am against tanking. i’m just smart enough to realize it’s going to happen unlike you who willfully ignores all the signs and instead deludes himself into believing the front office is trying to win at all costs. hilarious…. everyone knows it’s a business and you can be traded anytime. it’s another thing to lie to your face. i think lin was told one thing while they were working on the opposite. you can tell from all his summer commitments in nyc that he thought he was staying…. Kwok, as @Maknusia said, let’s drop the feud with Infinite Wisdom and move on. Let’s agree to disagree respectfully. Noone knows if Lin might stay in ATL beyond this season or half a season but whatever happens, all Lin fans want the best for him. Although we are not privy to Lin’s talk with the ATL FO and coach on how they plan to use him, he looks cautiously okay with the ATL situation. Perhaps he gets assurance that he will get PT even if ATL plans to tank, or they might accommodate his wish to be traded to a playoff contender if things go well, or he might stay through the season then see what happens. But yes, all is predicated that JLin can be healthy after 1.5 seasons out due to injury. I think all teams and Lin fans would want to see how he plays this season with the rebuilt body, as he himself wants to find out. Let’s hope for the best no matter what will happen. As long as he’s healthy, other things will get sorted out. Let’s hope we get a chance to see Lin play next Monday. Can’t wait, I’ve got it on my calendar reminder! I spie tip toes and chest pumping, lol. Trae is shorter. He has been working on bulking up to improve D.
Lin is still head and shoulder above. Solemn and serious. Older and wiser. For him, probably too much of the same old same old. I don’t think he ever got the player introductory press conference from the Hawks? Just as well. No need to repeat and answer the usual PR type questions. From us fans though. So great to see him with his teammates! Haha. This coming from one of the Hawks’ team writers. TY listed as 6’1″, NOT 6’3″ like Lin. 🙁 Yup. And back in LA too. Too bad for those idiotic teams. Their loss. Haven’t seen or heard anything yet from media from Taiwan or China…..
Lin has only 1 year left on his contract before he becomes UFA. Lin is needed to play for the team. If Lin’s arrangement doesn’t work, Schlenk will be the one to blame. Lin is irreplaceable in the team because Schroder is gone. Wrong oomparison!. contracts of deng, mozgov and noah are long and not what their team needs. Lin is needed in Atlanta. What happens to them won’t happen to Lin. Anyone with common sense could tell the difference. Would we really see Lin get to play significant minutes with the Celtics? Yeah, the Celtics are “win now”. But they too have a glut of guards. Is Lin going to get minutes ahead of Irving, Smart, Rozier, Brown? If yes, then of course! But would hate to rely on the possibility of injuries. Danny Ainge is as ruthless as the rest of them. I’m no fan of Brinks Truck Isaiah Thomas, but look at how they treated him. The problem is there are only 30 teams, and only 24 teams that he hasn’t already played for. How many teams left that fits his timeline? I want to see Lin lead a team to a winning season. Trying to stay positive, but reality hits hard. He is treated like a star on Media day. He may be bulked up but can’t be pulled taller. Agree. At this point, tough to take the long view and make predictions. One healthy day at a time. And JLin knows this. Said as much this afternoon. If Irving is gone, maybe. Lin has made Smart and Rozier look bad in their matchups. 7-11 vers 1 was working pretty good until management broke it up. Let’s hope vers 2 works out much much better! LOL. Has Lin been reading this forum? Many posters, (including Kwok ? ), have said the same thing. That the injury may have been a blessing in disguise…. That’s the retro 1968 uniform that will be worn for Hawks’ 50 year anniversary. It will take a very bold and confident front office to defy the usual narratives and give JLIn the freedom to help lead a team. ALL sports media do this, ALL THE TIME. Ask players about their teammates. Current or ex. Lin and Al were in China in pre-season with the Hornets. There is a connection. It was a brief friendly chat. Not a long press conference all about Lin. Maybe you should give some respect to the reporter doing his job, and who also happens to be a Lin fan. Instead of insulting his proficiency with English. Don’t know if they are really friends or not. Probably not in the way we would describe as “friends”. I thought they played well together on the court. Actually, doesn’t Lin make ALL HIS TEAMMATES better? Lin really does have a special connection with all the bigs, especially in the pick-n-roll. Remember Lin making Omer Asik, and Greg Smith look good too? I’m afraid I don’t remember the incident you described. I remember Harden doing dissing. Hey, are you maybe thinking of CHANDLER PARSONS? Cause I thought Parsons was using Lin to a degree and was more of a “fake” friend. There were some nice highlights of Lin’s assists to DMo. Yeah, it’s a little bit worrisome. Maybe there are things going on behind the scenes. Who knows. We’ll just have to wait and see how this season develops for JLin. Got his new hair too. THUMBS UP. But hopefully, HAPPY DAYS will be back again. For JLin, and for us fans! If Atlanta intends to tank, why would Lin be brought in. The team could have received assets such as draft choice and players rather than having Lin. Lin is seen as a prospect. The team is spending close to $14M to have him. Plus, the team has been making an effort to acquire the best players available. This is a team striving to build a winning culture. Tanking is contrary to facts. or we can also see it this way…but next season, they will have more money to spend @14M with Jlin’s acquisition. that alone can make a GM calls the shot and accept it ( i believe they call it “salary dump”) teams always has that option on their sleeves, isn’t it? BTW, thanks for all the updates! The fact is Lin looks much better now than ever. He is more knowledgeable to keep himself healthy. He has worked to perfect his game. A definitely new lease of life. I wouldn’t mind if he could play on tip-toes though. LOL! Why would you read into the text with your prejudice instead of reading out of the text. You must have problems in reading comprehension. To be fair, you should tell Infinite Wisdom too. He doesn’t stop following me and distorting my messages. Then Atlanta has received salary dump from the Nets without incentives like players or Draft choices. Atlanta simply let Brooklyn use Atlanta’s cap space to acquire two PFs and a first round draft choice for free. I call this an acquisition of Lin from Nets. Nets made a salary dump for free. not necessarily..Hawk will use JLIN up to the way he’s supposed to be use and more..its just as if “hawk will see it first then decide later “type of acquisition and if it didn’t work , they could easily let go of Lin the most convenient way..as i said , before, I am still hoping this will is JLIN’s team for good, But business comes first on all of the nba team before pleasure..Hawk maybe is really eyeing JLIN and can be their future, or MAYBE not? lets wait for the answer to come later. Lin learns a lot more about his body from Fortius. He will a better player. Thanks very much! And thanks for your comments, too. No smiles this time, JLin means business, good. Lets hope Lin has learned not to care so much about others and more about himself. It’s not a bad thing. Lol Iriving gone? Did you forget how much they gave just to get him?! And Celtics still became a better team than Cavs! Sealth tank and something for fans to look forward to just like the Nets. Also it doesn’t hurt to have 2 veterans to shield Tray as he develops. How a coach who isn’t afraid to be fired, MDA. BTW, it’s a really Nice photo. The white background looks better than the bright red one. The real no look pass. This is a cautious acquisition after such an injury but the team has made a significant down payment for the a clean bill of health. Well said. Atlanta took a costly trade to get Lin, and had to justify it to the owner. I would repeat the same message to Infinite Wisdom that Mak provided for both to move on. Sometimes disagreement happens and it’s best to not respond to each other. That Hawks are not looking to win right now is only a bold assumption on your part. It is just your opinion. I happen to think that the team needs to win ASAP. Also 1 year rental is just your assumption. You have no proof of this. You have no internal sources nor evidence to support your assumptions. Your prediction of the future is written as if it’s a statement of fact. You couldn’t possibly be a time traveler coming back from the future. He has problems in the language he used. His posting does not positively bring Lin fans together. His speculative comments about the good will of the Hawks management is unfounded and derogative to Lin as a professional respectable basketball player. So far both Travis Schlenk and Lloyd Pierce have been positive in their statments about Lin. Helps with 3 point shooting and faster reaction. Less driving more 3s. According to Lloyd Pierce, in today’s sessions the defensive focus was implementing transition ‘D’. There was also a focus on shooting. Any training camp videos? Can’t wait to see Lin healthy and playing NbA bball again! New @ATLHawks guard @JLin7 gets his time in the spotlight. 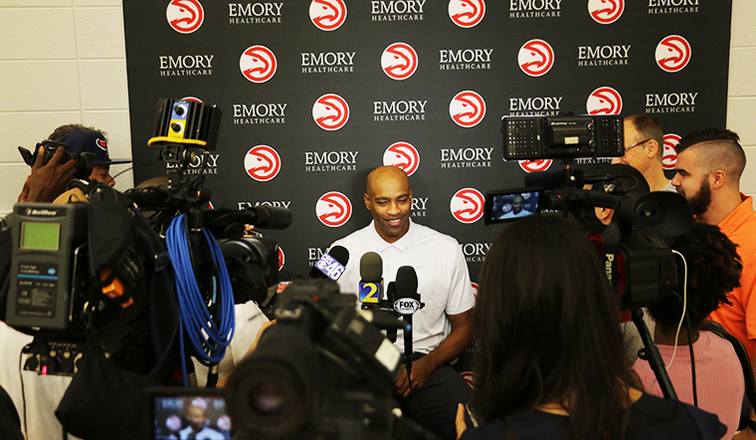 @LloydPierceLP recaps his first day of training camp as head coach of the @ATLHawks. Bazemore interview but there’s a clip of players running sprint including Lin in the beginning. the REAL problem is KWL keeps talking about ME. not lin or the hawks. all of MY posts have to do with basketball… THAT’S the difference. just look at all his old posts and there are references to me for no good reason. I’M talking about basketball. i am presenting a counter point to his posts for all to read. it’s relevant, pertinent, and not personal. i agree it shouldnt go on and on because he is dead set in his way of thinking, so that’s what i’ve been doing, leaving only one counter post. but i should be able to present the other side of the argument without him always going after me with personal attacks. Rookies are always bad. How many lottery picks have missed their first season? this entire post is about me. not lin, not the hawks, not nba, not media day, not training camp, etc. JUST ME…. i NEVER talk about him, i merely respond to his posts with counter points so readers of this site can see all view points. just because you don’t agree with my viewpoint, something should be done about it??? Sounds like you wishing Trae to be injured just so Lin can start. Honestly I’d rather Trae stayed healthy. More talent will only help the team get a better playoff chance, assuming they aren’t tanking. Also injury or not, there’s no way Hawks will keep Lin. It’s obvious from the way Lin’s been acting. Probably told him outright it’s a 1 season rental. Reading comprehension lesson 1: ddRead as it is. You read out not read in with what you think. I don’t think Jlin’s behavior reflects he thinks he is only a one year rental. I don’t think he knows, given that BKLN let him go and he may still be in some shock. He has only been in ATL a short time and is likely still getting acclimated to his new teammates. If he can unify ATL and bring them more success than many pundits believe ATL is capable of then why wouldn’t ATL want him to stay, if healthy? Another nice 3 or 4 year contract and there is still the possibility (though remote) that ATL could win the division during the next 3 or 4 years. 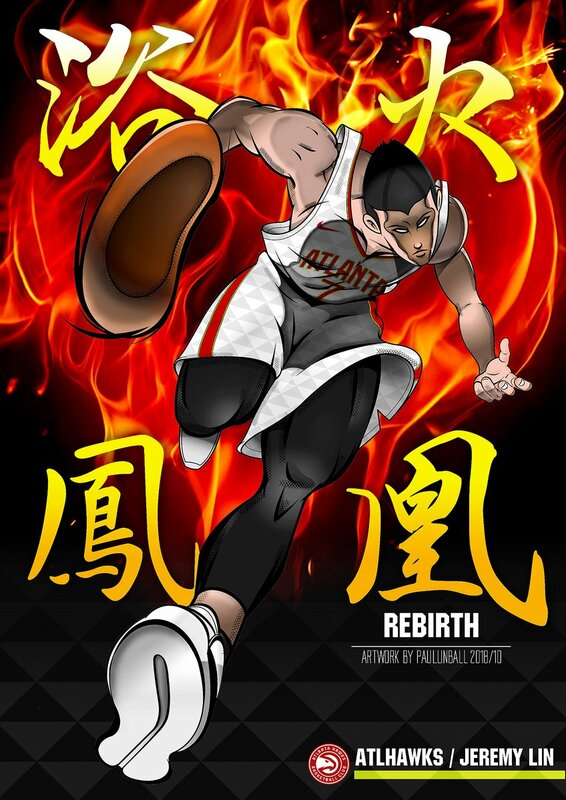 I think though, that if Jlin proves he is healthy, then I know he will play well and there will probably be some teams that will want him at the trade deadline which is nice for ATL as well as Jlin. In any case, if Jlin stays healthy, he will play well and everything else will take care of itself. I like that he is in a place where he will get his minutes and has a steady player in Bazemore as his running mate. How many times have you dissed rookies and repeatedly said they’re bad or injury prone? Supporting Lin is enough, leave the dissing for when the season starts. Just shows how much you feel threatened by Trae’s presence. Reality check, he’s the franchise it is what it is. Even without Trae Young there are 3 upcoming 1st round drafts for Hawks to find their Steph Curry, Thompson, and Draymond. With all due respect, I think sport (and most everyone else) can read between the lines and infer. Even if that’s not what you meant, it is easy to think it is. It’s not so much reading comprehension, as it is making an inference– which is also why he said “sounds like”. You said “rookies are always bad”, what would that be? it’s because they drafted trae. so unless we see lin starting at the 2 and playing WITH trae then there is no future here. the SAME thing happened with the dlo trade. the writing was on the wall for lin in bklyn. YES, they were planning on playing together, BUT could it be that kenny was trying to salvage the situation? trying to keep lin, HIS FRIEND, a starter? so lin’s future on this team RESTS with PIERCE and how he will be used. if he starts next to trae, then he has a future here. he’s being respected. if he’s benched, then we all just have to ride it out with lin until free agency where HE can choose where to sign…. Common sense. They don’t have an NBA body. They are not NBA ready. Am I wrong? rookies are NOT “always” bad… common sense…. It is not common sense, because it is wrong (mitchell, tatum, kuzma, ben simmons–just from last season!). C’mon, if you want to hate on Trae, or others who you fear will take the shine away from Jlin, just be honest about it. Making passive aggressive comments and getting called out and then defending yourself is not the way to make this forum positive. Almost every post you’ve made about rookies have alluded to Trae Young being bad or getting injured or worst than his rival from the save draft enough is enough. For all we know Lin might not even start on this team. It’s annoying and negative, just stop the shade throwing until we have actual games to discuss; only 5 days before preseason. None of your examples called themselves good players. They know this more than you. Am I right? You have made a false statement about almost every post. Why do you do what you do? This forum is supposed to be for positive discussions. It is ok that you do not reply with logic, I’ll live with that. But why the negativity? It goes counter to what this site is all about. Unless Young gets smashed pretty bad at both ends. I think that’s possible for an undersized PG like Young. it doesnt matter. they wont give up on trae over just one season. and by that time lin will likely be gone. remember that even super bust dlo had 2 seasons on a tanking lakers team. trae will be afforded every opportunity whilst lin will have to make do with whatever comes his way. that’s just how things go on rebuilding teams/tank teams. Atlanta is a big city, but it’s not a basketball city. i hate how little coverage there is for this team… only a handful of articles and videos… sigh…. I hear you. I’ve been lurking since this site’s inception; eventually made an account but barely used it because I liked to simply read the comments. But I too cannot bear seeing it go down this way. With trade rumors surrounding Bazemore and Lin’s future with Hawks unknown it’s not surprising. Lin in certainly not going out of his way to bond with teammates like before. And truthfully what’s the point? Spend time bonding for a temporary gig? Time would be better spent on rehab, in the gym or practicing. It’s a good thing, after so many years it’s time for Lin to forgot about learning the offense or sacrificing for others and just focus on himself and just playing basketball! Why is it negative to tell the truth? Your accusation about dishonesty is false accusation. Trae is listed as 6’2” on NBA but I suspect is real height is 6’1” only. You have appealed to emotions rather than reasons and facts. trae is 6′ 1/2″ without shoes, measured at the combine. i’m not gonna judge until i see him go against nba players. i mean cp3 is 6′ so height isn’t everything. The future is unpredictable. There are many ways for a team to spend almost $13.8M. When Atlanta chooses to invest on Lin, the GM thinks LIn is a really good player with confidence that he will be healthy and productive. Of course, there are haters who has been calling this a 1 year rental which is unfounded. The GM didn’t say that. The coach didn’t say that. They are just pleased that Lin will play for them. Those are speculations based on their prejudice finding a way to put Jeremy down. This training camp will bring Jeremy back to shape. Spellman, one of the three first round draft choices, Dedmon, Hamilton are on the injury list. I expect it will grow as the training gets harder. However some of them may come back in time for preseason games. Let’s wish them all get healthy because this team will need them to win more games. After the exercises from The Summer League, Young may probably be more ready for real NBA games. It’s never easy for rookies to compete at NBA level. There are too many contextual factors affecting rookies. Lin didn’t do that well in Golden State. Shooting from perimeter most likely won’t get him hurt. Driving to the rim like Steve Nash probably will. i think players of this league caliber can and will experience Ups and Downs, no exemptions during one’s timeline as an NBA player, some might happen at the beginning of their career , some at height of their careers and some when at the twilight and retiring…lets hope all player strengthen their body to face the rigors of playing competitive! After using the blocking function provided on just two users here, this site seems a lot cleaner and more enjoyable to read.You know, there could be misrepresentation anywhere. Jeremy has something this season that he has not had for a long time – the joy of low expectations! For so long, he has carried the burden of extremely high expectations. I am not saying he cannot meet the highest standards. However, so many factors outside his control would have to fall into place and more often than not, they would fall out of place instead. So now he has the freedom to just play and enjoy himself. I think most of the fans have also tempered their expectations. I think we may see a great season from Lin, as I personally know that it is difficult to excel, with the weight of expectations. Lin has improved mentally and physically. Cheers! — this is due to his high posting frequency, interaction with online stars, content originality and platform proliferation. — he featured prominently in a Chinese New Year documentary hosted on the official NBA Weibo channel. Good observation. It’s a bit of double speak IMO. If he’s objective is just going out and having fun, that’s also an agenda. It signals maybe that his mindset is about himself and not so much his team’s objectives. Good for Lin. Just maybe he’s finally realize that no matter what he does for his team, he can’t control how they use him or when they trade him. This new aloofness may be his way of dealing with the reality of free agency NBA. No one is ever secure because there’s no loyalties by anyone anymore. To make himself a home, Lin has to become the top 2-3 players of any team. I really hope he set his mind to being the top dog instead of trying to help everyone else first. Nash himself said that he wishes he took more shots in his prime. Lin needs to heed his friend and mentor’s words and become the feisty self determine Linsanity player again, otherwise he’ll lose his chance to really make a difference. Sorry to disappoint you. Lin is not a shot chucker like DLo. He is a real playmaker. Despite Lin’s past successful record matching up against top PGs like Kyrie Serving, John Wall, Mike Lowry etc, there are still haters who want Lin to be a bench player for many non-basketball reasons. Those coming to this Lin Fan site making this suggestion are out of their mind. Trollers like this are biased and are minority here despite making most noises. I’m always the optimist even when we all know the chances of Lin ever be accepted as a starter. The only chance is if the team culture copies the GSW ideals of every player can be given the opportunity to shine. This is contrary to every other team we know. We will know very quickly how the GM and coach will be. I’ll give them a month after Lin starts to play to see how they react to Lin taking over games and bring wins to the team. Charlotte rewarded him by putting place holders duds as starters. We knew pretty early when injuries hit that Lin was never going to start. I hold on to the hope that the professed desire to build character and culture is for real with so many ex GSW people on this team. If Schlenk really wants to make Trae into Curry, he should learn the lesson of how Curry was second fiddle for the first couple of years while he build up his body and game. Even this didn’t prevent him from incurring a serious injury. All we can do as Lin fans is hope for the best and expect the worst. Training Camp – Day 2. Still no video yet of JLin on the court. But here’s another update to JLin’s recovery. “It’s been really fun so far…spent a lot of time on the court, a lot of contact, a lot of playing. And then also the mental side of learning the plays and all the different coverages and terminology. But it’s been a lot of fun to just be on a team, in a team environment again. Being in a professional organized basketball setting, not in a rehab clinic. Just to get out there and finally get going. It’s been a lot of fun. Obviously, I’m not completely there. I didn’t get a big buildup or a ton of reps or a ton of days where I could really play a lot of 5-on-5 with NBA talent. I think it’s one of those things where me and the entire organization, we know it’s going to be a process. Of course, things like speed, explosiveness, and feel, and rhythm, and touch. All those things are going to take a little bit of time to come back. And that’s just part of the return-to-play protocol. Me: DITTO JLIN. Right now, more than anything else, we’ll be happy to just see you playing !!! We aren’t God. We can’t see the future. At present, things are looking good. Lin is rewarded well above those crowned to be the future by some trolls. Do you understand what the present means? It is now. It is also a gift. Look at those who seems to control the fate of Jeremy Lin or MDA. God is playing a joke on him. He is humbled, brought out and coached by MDA again. He could never imagine he would be playing as MDA wanted him. This is just the beginning of his end. For those making prediction here. His prediction is only as good as mine or even worse. What I can see is Lin is on his way up again. Lin was affected by the injury but he is recovering and in a much better situation than Melo. Someboy comes here and tells you what the future of Lin and the future of the Hawks. Don’t you believe it. They can’t tell their own future. They are so clueless that they have to call others clueless. How many first round 5th choices are in this the training camp now? Much more than the average. Vince Carter, Alex Len, Thomas Robinson, Trae Young. Alex Poythress, Jaylen Adams, Dewayne Dedmon, Jeremy Lin, Kent BazemoreHow many of them will make the 15 play roster? My best guess is the Hawks is going to have 5 undrafted players (2 on a two-way contract) and 4 1st round 5th choices on next roster with the undrafted (on the 15 player roster) getting better salary than the 1st round 5th choices. For those self proclaimed wisdom, you aint see nothing yet. This team is not under your control. Your wish means nothing. There’s no point in continuing this when you go back and edit and change/add more to your messages that I’ve already replied to. If you’re going to cover yourself up like that, real discussions can’t happen. He just seems so happy to be back. Relaxed, articulate, enthusiastic, and healthy. It’s wonderful to see. Lin is fine. Don’t believe those fabrications. Exactly, I think Nets’ betrayal was the final straw to wake Lin up, if Nash didn’t wake him first! If there’s anyone Lin would listen to, it’s Steve Nash! Nash says he regrets not taking more shots and being a score first player! Even saying how that would’ve helped his team more! It’s exactly what hampers Lin as a player. He wants everyone to score and do well too much and that hurts him! Just go out there and have fun scoring like he did during the Knicks! He can listen and try to sacrifice for the team/coach but they won’t thank him for it. Look at Lopez all star, could still put up 30 points and is all class, yet how was he treated? I have been telling everyone here JLin is going to be fine. This team needs him and will treat him well. He is a prospect. Don’t believe those self proclaimed smart speculations. They are irrational. They couldn’t even read properly. It’s good to be cautiously optimistic as JLin fans. For now, I’m glad GM Schlenk was willing to pay $14M+ (including the trade-kicker) to bring in JLin. Sean Marks must be surprised there was any interest in Lin after being out for 1 season. In that sense, it’s better to be in Atlanta where he’s wanted than in Brooklyn. But at the same, this is the NBA so I won’t be surprised if JLin lasts one season like he did in Charlotte or even half a season if Atlanta wants some assets back by trading him by Feb 2019. At this point, I’m happy and will cheer for JLin and the Hawks but at the same time I’m preparing my mind for all possibilities. As long as JLin is healthy, I believe things will work out well no matter which jersey he wears. As usual, Lin articulating that he was paying attention and appreciating the history presented by Andrew Young. Jeremy Lin for president, 2028! Yes, cautious optimism. Both with JLin’s health, and with the Hawks. One healthy day at a time. He does seem a lot more relaxed and happy on Training Camp Day 2, than he was on Media Day. Maybe because he was still nervous about his health status. But after 2 days of training, maybe he’s feeling much better about his progress and performance on the court. I know the press doesn’t get that much access to training camp. But I was hoping Taiwanese or Chinese media would have some photos or videos. Lin has definitely paid his dues, in more ways than one. Yes, absolutely hoping that his hard work and dedication and perseverance will finally be rewarded! On the one hand, glad for Lin that he’s taking full advantage of whatever popularity and platform he’s building overseas. On the other hand, I’m not as glad that he’s not being marketed here in the US much at all. Agree with almost all. Especially for a great season from Lin. However, I would just add that Lin was always a bit ambivalent about expectations. Yes, he has talked about trying too hard to play up to expectations, and not having fun doing it. But he has also emphatically wanted to be a starter, and not afraid to take on the challenge of being the leader of his team. That ambition will always carry high expectations with it. Tough to have it both ways. Having said that. I will always support whichever way he wants to play. It will be good to see him back on the court again! Yeah, big college sports city. And with the Braves in the playoffs. And Falcons getting attention. (And surprisingly, soccer too.) The Hawks just isn’t getting enough press, especially if they are not winning. Have been following Peachtree Hoops. Some nice analyses articles. Very little about Lin. In a way, it’s good. They’re not using Lin as click-bait. But, jeez, most articles get only a handful of comments, from the same few people. Even less than the Hornets. Well, at least the posters there seem fairly reasonable so far. WANNA SEE HIM DRIBBLE AND PASS AND SHOOT!!! Okay, I’ll calm down and be patient. October 1 is only a few more days away…..
HaHa. Vince Carter, 20 years. Kevin Huerter and Trae Young just turned 20. May Lin continue to shine for another 8 years, at least! His height varies depending on the source. As Infinite Wisdom indicated, TY was listed as under 6’1″ at the combine. Who knows. He looks a little shorter than Lin. Lin will be given a fair chance to play at his potential because it will only help the FO to justify their trades. It is a win-win situation. As long as Lin is competitive on the court, we have nothing to fear. A fair chance is the best we ask for. Let’s see the potential of the Hawks to be competitive this coming season barring from injuries. Best wishes for Chelsea Lane. This is in fact a fairly decent lineup. It is not for tanking which is not a good way to develop young players anyway. You want them to play for wins. Once the team chemistry is developed, the Hawks will surprise lots of teams in the Eastern Conference. The key player is JLin who is replacing Dennis Schroder. Lin is the 2nd highest paid player on the team for a reason. If he plays well, the Hawks will be quite competitive at both ends. I’m looking forward to seeing a fairly competitive team of the Hawks this coming seasons. Of course, we can only be cautious optimistic at this moment. A month from now, we shall see these players coming together in Atlanta for winning. coming back to game mode….not only physical, but the mental aspect plays a bigger role. It aint gonna be easy…its a process as JL mentioned. I think Lin will be much happier being a basketball player. Spare him please. LOL. He has had enough haters in his life starting with Byron Scott and company. 4 more days!!!!! cant wait! The Hawks haven’t done anything wrong here. Except maybe pass on the opportunity to draft Jaren Jackson Jr. if they weren’t sold on Luka Doncic. A Jackson-John Collins frontcourt is the kind of promising base that would have given Atlantans another reason to get up in the morning. of bad, in which they don’t contend for the postseason but win way more games than they want. Collins, Young, Kent Bazemore, Dewayne Dedmon, Jeremy Lin and Taurean Prince have the makings of a not-terrible outfit. Hey! Even Dan Favale can’t bash Atlanta’s basic lineup! Perhaps it’s because Lin is under restriction. Last season there was serious internal conflicts about rebuilding too. Lin to the Pelicans or any playoff contenders are also possibilities. Man, we just need Lin to be healthy and if Lin can play in many playoff games, we’ll be content lol That Hornets vs Heat playoff series really showcased Lin’s ability to get him the Nets contract. I’m guessing it will take Lin 2-3 months to get that hurdle of not playing NBA competition for so long and the mental aspect of knowing what his rebuilt body is capable of. The nice thing is we have Chelsea Lane putting Lin in the “Return To Play” protocol. I have a lot of confidence in her body of work based on Steph’s Curry old ankle injury. It’s a blessing in disguise to get Chelsea helping JLin to get back in NBA form. The Nets performance team was simply too new. Tanking wins lotteries and attracts gamblers and losers, but loses fans and money. Jeremy getting a few shots up at practice, with Kevin Huerter …. Yes, I hope for the best for Lin wherever he goes. I’m a fan of Lin, not NBA organizations, cities, or jerseys. I root for his team and bigger, that he gets to be a critical contributor to that team. The more draft choices a team has, the more players you have to let go. It’s going to be harder next year to cut to 15 players roster. For rookies who are not immediately NBA ready, it takes up the roster spots. Next year, when more young players are drafted, this team will have to let go useful pieces on the team. The down side of having too many draft picks will appear. That is why GS acquired players not only through the draft. Klay and Lin would be a dream of unselfish players but I doubt Klay would leave GSW unless Curry bolts or there’s a fall out with KD. yeah….as JL mentioned, he havent got the 5-5 contacts yet during his rehab…hence its even hard for him to gauge where he is. Furthermore, when one come back from injury, the body would not readily response to specific movement of the injury locale, especially after a major injury that he encountered. Hence there would be some retraining confidence building to muscle memory and CNS needs to happen. More over one wouldnt want to push it hard on the get go itself, chances of recurring is still at risk. Once you allow players to not care about winning, it’s a long road back to becoming a winner again. An athlete without the mind of a winner will find crossing over the chasm that separates the great ones from the rest. Tanking teaches players how to lose. Don’t ever get used to it. Players always wants to win and win now, However this maybe, FO and management thinks that Tanking is an option that always be there for the team when necessary. It doesn’t matter if the Players doesn’t want it , but when the management and coach thinks otherwise, silent tank is the plan.Its a Necessary Evil lurking on everyteam in the NBA, maybe some players thought on asking their own team to trade them, or an indicators why a team trade certain player. The winning edge is in the mind. That’s a muscle that requires constant honing. It’s why some people can’t ever find ways to win, instead they find ways to lose. We’ve seen it from world class athletes all the time how they can’t close the deal. It’s the mind and the heart that separates those who can control and bend their destiny and those who let opertunities fall though their hands. It’s a shame that Lin hasn’t been given the opportunity to showcase this skill. He’s got that gift of knowing how to win, how to come up big, how to sieze the moments and how to bend the will of chance to fall his way. The great ones have a way of making strange things happen. Skills and athleticism alone doesn’t make champions, they only take them so far, the rest of the way is the intangibles of the mind, heart and spirit. Likeness: Uhhh, not so much…..sorry…..
I’ve seen worst. A for effort for sure. Extended interview with Lin on Media Day, to add to what we have already heard. By Terrell Thomas. Starting @ 1:55, describing and comparing the kind of support that he gets from fans from overseas. Kinda felt bad about what he said. Here in the US/Canada, we may not get the chance to turn out in large numbers or make creative and personal presents for him. But I hope JLIn knows that his fans here are all hanging in there with him too. Not so much that I want him to acknowledge the fans. But more that he should know that we are still very much supporting him too. And it also goes to a point I made earlier. Aside from each of his teams selling his jerseys. Or adding Asian/Taiwanese/Chinese heritage nights. There’s just not enough marketing of JLin here in the States. How easy is it to get his shoes? How hard does Adidas push here? Always get a kick out of little kids. JLin’s nephew cute as always. Uncle Emy. By the way. Add Terrell Thomas to follow. If interested in what the other Hawks have to say, Thomas has more interviews, also on You-tube. JLin starting an initiative for “Jeremy Lin Digital Scholarship Program”. To educate and learn about anti-bullying. Base on this one vid, not clear where to get more information. Couple of short videos from Training Camp Day 3. JLin shooting 3’s. We’re almost there! Of course tanking is ridiculous. Losing on purpose is ridiculous. I never heard of such a thing until I followed Lin to LA & BS Scott. The problem is, it’s an accepted practice in the NBA. That’s the REALITY. GMs are rewarded with applause and praise when they get lottery draft picks. Some “team” fans seem to actively want to tank. I would guess that these are not the people going to actual games. Would anyone really spend money, and time, going to the arena, to cheer for their team to LOSE? Again, ridiculous. The NBA is supposedly making it less of an incentive going forward. Wonder how much difference it will make. Finally, 20 seconds of Lin. Sigh……. Even though I was half kidding. Look at it this way, he’s already used to haters. LOL. The other half of me thinks that he wants to make a difference. And serving in government could help with that cause. But you’re right. In today’s political environment, good people are not appreciated. Knowing right from wrong, and doing the right thing, are apparently not the goals of most politicians. Okay, enough with that. Let’s get back to basketball. No, I was just kidding. Klay seems very happy to be winning, and getting the big bucks, at Golden State. I don’t think he’ll leave. He probably won’t even leave to go to LA. Yes, agree! Just want Lin to be healthy and play his game and have fun! Hey, to me, a papercut is painful! Can’t imagine what he is going through, a whole year of tough hard rehab. And now trying to play competitive professional basketball again. Both the mental and physical recoveries are probably equally challenging. The joke was just about Young’s height. Some teams do have reservations about small guards. No criticism made about Young’s skills. Besides, he just turned 20. It is very possible he could grow another inch or two. There were rumors that Irving MAY not want to sign with Boston next year. I think that’s what Kwok was referring to. I’m not sure Boston gave up all that much. Just the 2018 first round pick from the Nets, with a 2020 second round pick. And they got rid of Brinks Truck Thomas in the trade. Hornet’s should have won the series but it was given away. Sigh! first nba pre-season games tonite! actually pretty weird how it seems really long ago lin was there and yet they have basically the same players in major minutes roles now as then WITHOUT BEING ANY GOOD IN THE TIME BETWEEN!. i mean stability is good if the team is good but since lin left hornets are: 36-46 and (wait for it yes) 36-46. consistency but not in a good way. i think there is another game tonite melbourne united of australia v. the 6ers but its not listed on the official nba games list maybe because one of the teams is not an nba team. *(roger on that can confirm multiple australian league teams which include several former nba players will be playing in pre-season games v. nba teams). there will be a larger slate of six games between verifiable nba teams on both sides tomorrow and sunday in total before the first hawks game on monday. im excited to follow these games and see what the new season is shaping up like. (a lot of people say the pre-season “doesn’t matter” but i think it does). Jeremy is going after loose balls in practice, against Vince Carter. I’ve seen unbelievable feats of chance that turned the tides in someone’s favour. When Tiger Woods rolled a downhill 15-20 ft put on the 72nd hole in to take it to sudden death at the 2008 US open, slow motion replay showed the ball bouncing and bobbling all the way into the cup. The odds of that put going in with that many footprints in the way is improbable. Yet it managed to somehow find the bottom of the cup. Lin himself made improbable shots to win games and championships. Some called it flukes, I call it superior will power that bends reality. Greg Norman lost the masters with a 6 shot lead to lose the masters. He also lost another major when someone blasted a bunker shot in. Norman again lost yet another Masters in a playoff to Larry Mise by a fluky 140 feet chip in. Norman is one of those great athletes that somehow finds ways to lose. I’ve done it myself in key tennis matches where inexplicably I’d hit down the line for a total winner while the net person tries to poach. Instinct and luck combined with will power created that winner. Had that person stay where he was, he could have had an easy shot to win the point. Money is going to affect teams like 76ers. They have to pay max contract $25.5M a season or close to that to keep players like Joel Emblid. Should Ben Simmons goes on as expected, another max contract will be signed. Robert Covington would tie up $16.7M /season. A Bargain! Marielle Fultz is going to be the last top pick receiving greater than $8M. Next season 76ers would be on a tighter budget Lottery picks don’t always work out but spendings keep rising. Yet, it is nowhere close to a championship granted the team has already had bargain players like Covington. Tanking ends with players like Emblid, Simmons, Fultz. Will 76er win a championship with them? It’s yet to be seen. No clip of this? Lin needs to take it easy, sounds like Lin and Vince are both very competitive even in practice. JLin has played in so many offense systems, he could have written the playbook himself. Of course, he’s so humble that he would never admit it. He’s under restriction. Chelsea Lane’s reputation is tied to his health. She must be sweating seeing that. What restriction? Sorry it’s been a hectic summer and things are finally quieting down. Wanted to apologize firstly for taking so long to send out an update…my bad!! Secondly, I wanted to share some stuff that God’s put on my heart. He’s recently been challenging me to spend less time talking to Him and more time listening to Him. I read a book that said if we were to go to dinner with someone we really wanted to meet, we wouldn’t spend the whole dinner talking. Rather, we’d ask a lot of questions and listen. The author compared it to how we often times, during our devotionals, spend all this time talking but don’t ever take time to listen. So that’s something I’ve been challenging myself with — to give God more space to speak into my life. I’ve never heard God’s voice audibly, but sometimes He presses a conviction on my heart or uses another conversation with someone else or speaks through Scripture. There are many ways God can make His presence to me, but I find myself boxing Him in more often than not. Hope that encourages you guys! Another thing I wanted to take the time to write about is all the praises that have happened over this summer. Highlights have included amazing evangelical events in Brooklyn and Asia, where we saw God move in hundreds of lives!! Also thankful for being fully cleared to play five on five basketball again…it’s been a long journey but the rehab is finally over! God also blessed me with the opportunity to film a cool TV show in China called Dunk of China that has more than 575 million views through the first 5 episodes. I could go on about the praises but this email is getting long so I’ll transition to prayer requests. Please pray for me as I’m embarking on a journey to live a more Spirit-filled life, as well as to hear from God more often. Also hoping for continued health over my body, smooth transition into Atlanta and quick acclimation with my teammates. In many ways, I don’t understand what God’s intentions are through the trade and in bringing me here to Atlanta, but I have full faith in his sovereignty! Thanks everyone, promise I will update sooner going forward! In addition to JLin following his faith with his heart. Other noteworthy comments. It seems like he really thought he had found a home with the Nets. And that he’s still kind of dealing with having been traded. IMO, it somewhat explains why he has been so far, more subdued in Atlanta. Looks like they’re working on specific moves like pumpfake and rhythm dribble before taking a shot. 2 of 3, GO JLIN! Okay, this explains more. From a previous tweet, it wasn’t clear what happened between the two teams. YIKES! SMDH. What happened to “restrictions”? Actually, that might be a good threat. Maybe that will get through to Lin…..good one! Did you catch the games? Checked box scores of both teams. Celtics not hitting their 3’s. Hornets not making their free-throws. Both Irving & Hayward played 22 minutes. That looks like a lot for a pre-season game when both guys are coming back from injury. Surprised the Celtics did that. It’s just pre-season. But MKG was not in starting line-up for Hornets. Jeremy Lamb started instead. New coach. Speaking of Hornets: “Jeremy Lin was unstoppable”. Gotta feed that addiction! lol. Here’s more interviews with Lin from media day. Horrible sound quality. Unfiltered background noise, couldn’t hear the questions, barely hearing Lin’s answers. For what it’s worth. Just in time to answer Mad Rantings’ question about the Hawks’ offense. “Pace and space” confirmed. Q: Your offense, what kind of offense is it? LP: We’re focused on efficiency. So the type of shots we want in the first 8 seconds to the type of shot we want in the second 8 seconds. We obviously want to get out and run and score before the defense gets set. So, we’re measuring everything with our first 3 steps. How quickly can we react to turnovers, makes, and misses. When we have to play in the half-court, it’s body and ball movement. I’m going to keep preaching body and ball movement. We’re looking for the most efficient shots, and that’s creating… our separation will be bodies moving. Are we moving the defense? When the defense break down, are we finding good to great opportunities? Can we get the ball in the paint? Can we spread out to the 3-point opportunity? When we penetrate, can we get to the rim? It’s off of the ball, it’s off of the body movement. Q: We can expect to see a lot of 3’s this year? LP: I hope we get a lot of layups too. And I hope we get a lot to the free throw line. And that’s what I mean by high efficiency. If we can get to the foul line 30, 40 times a game, it’s even better than just hoisting up 3’s. We want 3’s. We want the right 3’s. We want uncontested 3’s, we want corner 3’s, we want 3’s that are in the flow of what we’re trying to do. Sounds to me like what the Warriors do best: “making the most out of any kind of opportunity”. The question is, do the Hawks have enough talent to execute with high success rate? Being a good listener is a skill and attitude. I learned that from my first girlfriend. Having grown up as a star high school athlete, people would sweet talk me with praise and my ego would make my mouth run about myself. It’s easy to fall into that trap when people want to ingratiate themselves on you. I found it out from my then girlfriend who comes from a pastoral family that it came off as being crass and uncouth. It was then that I really learn how to become a good listener. When you watch a good tv talk show host, you will note how they seamlessly draw out bits of information from guests, sometimes illicitting comments they may not have wanted to divulge. Curious about one thing: I saw, in training camp photos, JLin was wearing black jersey, and Trae was in white/grey, do you think whether that means JLin will be put in 2nd unit? LOL just for JLIN’s own good. Sounds like a smart coach with deep understanding of the game. was asked below if watched first nites games. a little. both the better teams dominanted the first quarter. after that it was not really significant. yeah hornets came back and won but when both teams played actual assumed starters in first quarter celts almost doubled hor-nets. (37-20). again the thing i found staggering is charlotte still got the same old guys that were there when lin was! they’re going to have to blow that team up soon. celts actually dominated the hor-nets even more than 6ers dominated melbourne. other notes: surprising that with 20 man rosters still for most parts major minutes going to just 7 or 8 players (which is what teams other than the nets do in regular season). also: assists hard to find outside simmons 14. fultz seems to have at least temporarily re-found his shot which was mia in some combination of mental-physical issues last year (apparently “the process” takes at least one year and sumtimes more for a philly #1 to actually be able to do anything). tonite we get a wider assortment of games; including two non-nba teams. for those looking for more “asians” in something like the nba you will find an entire team of same in the bejing ducks tonite against luka doncic and the mavs. the only i think non asian on the ducks being former lin teammate in brooklyn, justin hamilton who played the bulk of his (few) nba games with the nets that season. of course doncic is who lin’s current team atl could have had; trading for young instead tho as i read it more for the extra draft pick next year than a commitment to young. another aussie team from perth this time also in action tonite. v. jazz and first look at warriors (cousins na) v. the troubled (by butler) timberpuppies. (talk about a lame franchise). blazers also at raptors where tickets are as tough and pricey as warriors tickets. fanatic fans in toronto. i was trying to look into getting to an nba game in person this fall with my son but we looked into prices and with the cost of flite, drive, hotel, tickets decided at least for now not worth it. even preseason game tickets for even bad teams are pricey. can get a lot more mlb for yer buck. maybe we’ll try again later in the season when most teams are tanking and tickets probably discounted. now everyone is optimistic. 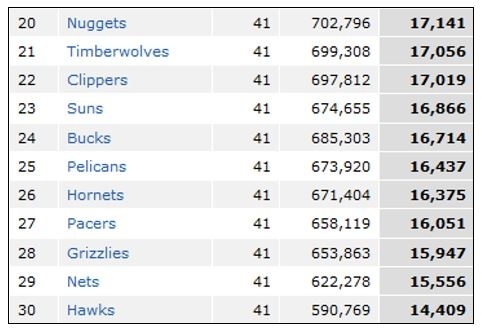 (of course as pointed out hawks with worst attendance in league last year. my son made i think two games there last year as he was there anyway visiting relatives and got easy cheap seats shortly before games were played). From a clinical perspective (though I’m not a health professional), I’m rather pleased JLIN hasn’t audibly heard God’s voice. 1) Regardless of duration of your Hawks tenure, Begin a Bible Study Group. Spread the word as Jesus indicated in scripture just as in Charlotte, to further acclimate with teammates. 2) Listen for God’s messages to you in the form of what your teammate/s (even if just 1 shows up) say and ask during Bible study, God may speak to you through teammates’ bible questions. They play opposite to one another. If Collins played along with each other, it couldn’t be bad. guidelines for good decisions making are important. The Pelicans has made a mistake to let DeMarcus Cousins go. The team will lose AD because of this. At the end, the rebuilding goes back to the beginning. doncic: didn’t look like he was doing much but at the end of the day look at his numbers! bejing put up more of a battle than perth largely do to justin hamilton who until he tired late having to carry the load looked like he could certainly hold his own in the nba. couldnt see that d jordan brought a lot to mavs, other than arguing his many fouls as per usual. saw at least some of every game but warriors. tho wolves won they looked bad (via boxscore) while warriors regs were in. curry durant thompson comfortably dominant when in game. wolves with no bench and really they dont have any other players cause looks like butler is not going to play there. but can certainly see why thibs wants to force him too! again; with these games you can’t look at final score have to look at what was happening when the players who will actually play in the season were in. what else? portland doesn’t have anything beyond lillard and mccollum and that’s not enuf. leonard looked good and ready. lowrey looked fat. (he usually does). these pre-season reports seem popular (probably because pre-lin no one else is doing them!) so ill try to keep them going at least for awhile. so far i like jazz and doncic. boston and leonard. simmons 14 assists were impressive in games where assists have been shall we say not been featured thus far but will see how he fares against a real nba team monday. kings and bulls both have games tomorrow. when hawks play pels mon. pels will have already had game played with bulls. So it makes sense that the starting lineup is going to have George Hill, Rodney Hood, Tristan Thompson and a lot of veterans. That according to Joe Varden of the Athletic. Cleveland made it clear they had no plans to tank this season and just play their young talent when they gave Kevin Love a massive new contract extension. A few days before I started at The Athletic, I reported for Cleveland.com that Hood would start at shooting guard and Cedi Osman was penciled in as the starting 3. Everything the Cavs have shown on social media (Twitter pics, Instagram) gives the appearance of Osman working with the first team. Love, a five-time All-Star, will start at power forward, and we know either Thompson or Nance will start at center. All indications are George Hill is the Cavs’ starting point guard, at least for now. So we have a pretty good lock on the Cavs’ top six players. Rookie Collin Sexton is going to play. Jordan Clarksonis second in the NBA the past two seasons in bench scoring. He’ll be out there. Sources say all three guards have looked strong in camp. Kyle Korver was sixth in the league in 3-point percentage last season (.436), so, he’s going to be playing. That’s nine guys, already, with no mention of Smith, Sam Dekker, Ante Zizic, Channing Frye or David Nwaba. The Hawks had a late Sunday morning practice in preparation for tomorrow’s game. Lloyd Pierce said he expects to pick starters after talking to his assistants later today [Sunday]. Pheew, I hope Lin gets to start the entire season! Teo teams I will watch this year, Hawks for Lin and Grizzlies for Yuta Watanabe! As Lin is getting older and continuously forced out I’m glad there is Yuta with decent English and assimilation to America. One of 4 Japanese players to play in division 1 college basketball and will be the 2nd Japanese player in history to play for the NBA. So glad Yuta dodged the Nets, Memphis is a much better fit. this is the first game i actually watched some of where both teams came out i thought prepared to play. makes sense with two traditional top franchises. of course it got sloppier deeper into benches esp. for heat who were missing five players from assumed rotation with various injuries. “spurs minutes” were in effect as thru roughly 3 quarters 11 different spurs players had between 11 and 19 minutes. whiteside was individudally dominant; but spurs collective crew held a 5 pt lead at that same mark. the knock on whiteside was evident tho putting up 20 points and 13 rebounds in less than 20 minutes his +/- was 0. so his individual numbers did not translate to heat sucessess. hornets came out with more than they showed in first meeting where boston starters were up 37-20 v hornets starters (same old guys from the lin hornets days) at end first quarter. maybe boston just bored. terry rozier gave boston some spark; malik monk (walker backup) who did not play the first game hornets some. chance to see hawks opponent tomorrow. foucsing on hawks opponent: davis was mostly facilitating; pels started a lineup of payton, etwan moore, holiday, randle and a.d. mirotic and darius miller who would be expected to be regular season rotational mainstays did not play at least early. randle became a good player with lakers but for some reason was always in “the doghouse” be interesting to see how he fares here with a.d.
no baller. lebron expected to only make a token appearance. first 5 minutes: lakers going a much faster pace than the more methodical nuggets. laker offense running more thru ingram (who lebron has been praising) rather than lebron or rondo. nuggets thru jokic who does everything; set screens hand the ball off bring the ball up pass position for return pass outmaneuver his defender. draws fouls. i think he’s a great player who will only get better. nuggets leading by three after 5.
jokic goes out with 12 points in 8 minutes. lakers do better with line change leaving only james and bringing in kuzma, hart, stephenson.not sure who else. james plays about 9 minutes. after my bedtime at this point. tomorrow: hawks first game. will lin be cleared to play? other people will start paying attention at least so i can reduce these reports, getting into a busier time for me on other things once oct. begins. The NBA is such a joke. Supposedly, these will be points of emphasis in the calls that the Refs will be looking for this season. Yeah, let’s see how often they will really call Lebron for traveling. Or how often opponents will be called for holding Steph Curry on defense. Interesting examples in the video. I just doubt that the “superstars” will be called for them. Or the consistency of the calls. We’ll see…. Don’t forget that the Hawks will be playing the Grizzlies on Friday, October 5th. Not sure how much playing time Watanabe will get in the big club. YW is on a two-way contract. You may have to look for You-tube highlights. Or look for Memphis G-League games. Great to hear! JLin being healthy will mean he will play SOME minutes. Let’s see what line-up Lloyd Pierce will come up with. Whatever it is, there’s no guarantee that it will be the same line-up for the next game, or for the regular season. Yes, thanks for the updates! Thanks for the info. Hope you and your son get to see Lin play really soon! From the box-score, the Beijing Ducks was not competitive at all. The Ducks had Stephon Marbury and actually last won the CBA championship in 2014-2015. Could China have sent a more competitive team? Doncic is certainly getting a LOT of hype. Wonder what the pressure will be on the Hawks trying to win. Or trying to make sure Trae Young doesn’t fail. Or will Schlenk stick to his guns and be patient, and develop Young. Someone posted on Twitter that Doncic may turn out to be good player for the Mavs. But it could also be true that Young could be good for the Hawks too. And the Hawks received another pick from the Mavs in the trade. Meaning win-win for both teams. Yeah, it looks like they’ve been switching. Some photos had Lin with the assumed starters like Collins and Prince. Another video from yesterday (training camp day 4) showed Lin in the white/grey. Good question. Haven’t seen enough of the players to judge yet. I think it will be important for any of the perimeter guys to knock down open three’s. The Nets had Harris and Crabbe last year and was better. The year before was horrible. Random thoughts about the NBA pre-season. Beware, mostly negative rants. What is purpose of the pre-season games? So the NBA can market even more globally? Non-competitive teams from around the world playing here. Or teams going all the way to China to play each other. Such a waste of time and effort for the teams involved. Like, the Mavs played the Beijing Ducks yesterday. Then they’re going to Shanghai and Shenzhen to play the 76ers. AND they signed Ding Yanyuhang to some non-guaranteed contract this summer. Mavs trying to copy the Rockets? If the idea is for teams to get back into game shape, shouldn’t the games be more competitive and not just as exhibition games? JLin had wonderful pre-seasons with the Rockets and the Hornets. Used and exploited because of Asia appearances. Did it do anything for JLin as far as the teams? NO. Meaningless waste of his efforts. And the Hawks’ pre-season this year…why are four out of the five games against Western Conference teams? More travel for the Hawks. Against teams they will only see twice. I would think it’s more useful for the Hawks to play against EC teams. Maybe some teams do try to use pre-season to test different line-ups. Or test running certain plays. Will that be what Lloyd Pierce will try to do? Rockets and Hornets used Lin to market their “teams” including allowing Lin to start for those preseason games and afterwards it was to the bench, despicable. Majority of the fans including the ones in Asia only cares about the best championship teams. Right now it’s GSW, Curry, and Kevin Durant. Lebron’s so called Legacy is gone that’s why he went for the Lakers pay day. Appreciate your time on these updates. Always good to keep an eye on the competition. Yeah, felt bad for Okafor. For his sake, hope nothing serious. FYI, James ended up playing about 15 mins. JaVale McGee had a good game. Not sure if it’s money or what, but hope GSW won’t regret letting him go. I thought he was an important solid contributor to GSW in the playoffs last year. I know but at least he’s getting attention during the training camp. I think it’s a max of 49 days for the NBA so is that 49 games? Honestly Yuta should’ve been drafted with his skills, it’s obviously a race issue. I hope the Grizzlies will give him a full time spot and contract soon. Unlike Lin, Yuta has both the height and size advantage as PF at 6’9″, he will not be easily knocked down nor contested when shooting. How I wish these two were on the same team. Nets could’ve made it happen but they are obviously blind to talent! Makes sense. Again, everything that Lin is good at. In open court, in transition, attack the rim and get free-throws (assuming the Refs make the right calls), improving 3 point %. Awhile ago this summer. Someone somewhere said that’s why Kenny’s system not ideal for Lin. Anyone who rebounded the ball started dribbling down court, like RHJ or Trevor Booker or DeMarre Carroll. Instead, they should be rebounding and passing the ball to Lin immediately and run down court, so that Lin can make the right decision on who or how to score in transition. Which could also include Lin speeding to the basket, beating the defense down court. Maybe Pierce will use Lin properly and let Lin play his game at some point. We can hope. They got Cousins to fill the hole, there’s no way JaVale would start nor get significant minutes. He barely got enough bench minutes last season during playoffs and finals. Great pic of JLin from Hawks’ official site. Such intensity. And intense look from Coach LP? Red and Black is so much better than Red and White. Lin looks healthy and ready throw all that coach, offense, and bs baggage aside! Time for him to play for himself and not sacrifice for others. Lets go! No more bs mentoring, cause those rookies and teams will not appreciate him and that’s not what he’s there for! Leave the teaching to the coaches and trainers! It’s his 2nd contract year, Lin needs to play well to keep his starting spot in the NBA. Hope Lin finally learned his lesson. If anyone sees any more info about the broadcast of tomorrow’s game vs the Pelicans, please share. I found another link for free streaming. Probably not legal. AGAIN, PLEASE BE CAREFUL ABOUT USING THESE SITES. Make sure you have good anti-virus and internet security. Be careful where you click. I’m not a subscriber, so I missed this. But, FYI, SiriusXM NBA Radio did interviews and a Hawks preview back on the 28th. Well, he’s still has to get on the court first. And unfortunately, that’s not under Lin’s control. But you’re right. JLin, STAY HEALTHY. And then when he IS on the court, play his game. Steph Curry and Klay Thompson and Draymond Green have won 3 championships in 4 tries, with one team. LeBron James won only three in eight finals. Despite changing teams to get there. And I still think the ring in Cleveland was rigged. But, he has made millions, and still making millions. So, maybe he no longer cares about winning either. Not sure how Cousins will fit in. Hope it works out. I’m hoping GSW will get at least one more. Even in limited minutes, JaVale contributed and made a difference last year. He played well during his time on the court. Technically they only won 1 with the original trio. 2 of the rings were won with Kevin Durant! And now with Cousins there’s really no point in fighting it’s an All Star starting lineup! Lebron couldn’t even keep Irving let alone any other legit star to come play 2nd fiddle for him. Kawhi maybe if he’s desperate for a ring. Agree. I think Lin and YW would have been great complements to each other. It’s really too bad. But, like you said, the Nets’ loss are gains for Hawks and Grizzlies. You never know. If Lin re-signs with Hawks. Maybe the Hawks will see a need for another front-court player who can be a stretch-4, next year. FYI. From NBA G-League site. It’s 45 days. So, if nothing else, if YW gets to play with the Grizz, he will get paid more. Yes but the writing was on the wall the moment they got Cousins. Javale could get more starting minutes on another team. He’d barely see the court if he stayed. Luka Doncic is an once in a life time PG. Mavericks is lucky to have him. You can’t draft another PG like him in your life time. pels played last nite (see my notes in post below) & there is a lot of sentiment that the 3 stars (a.d., holiday, randle) probably wont see much playing time on a weird btb preseason game. probably means more pt for payton (a typical payton game last nite 2 for 10 with a lot of rebounds and assists). and frank jackson who tho wasn’t in the game yet while i was following last nite by box score ended up playing a lot and cranking up the shots a lot. (looking at pels pg position). interesting no (official) coverage in atl at all radio or tv apparently for this first preseason game! with the worst attendance in the league last year and the braves heading to the mlb playoffs for the first time in awhile lin can be entirely under the radar in atl. Lin (kneecap) isn’t listed on the injury report heading into Monday’s preseason opener against the Pelicans, Kevin Chouinard of ATLand29.com reports. Lin entered camp with some restrictions while working back from a knee injury that costed him nearly all of last season. However, it appears he’s made a full recovery and is comfortable enough with the knee to take the court in a live game setting. While he’ll likely have his minutes toned down in a meaningless exhibition contest, it’s still an encouraging update for a player who’s played in just 37 games over the last two years because of injuries. Lin is expected to battle rookie Trae Young for the starting point guard role. sad we won’t be able to follow the game. They just announced Trae young will start and Lin coming off the bench. Don’t think it’s a bad thing since Lin is coming back from major injury and needs to slowly get back to full speed basketball. convenient excuse. trae was slated to start once they drafted him. obvious move is obvious. as expected. this is trae young’s team. Coach is his BH. Just play his game and get out of this team next year. ANNOUNCEMENT: @JLin7 and @Omarispellman of the @ATLHawks will be joining us for an AMA tomorrow, October 2nd at 1PM Eastern! it’s a competition yeah right! haha. same old story. where is patrick beverly when i need him. Is tonight’s Hawk vs Prlcan game on NBA League Pass? If it was a franchise player there’s no way he’d be benched. He’d start with restriced minutes. No respect for Lin what so ever. Doesn’t surprise me since Trae is their new franchise. Meaning will JLIN have the freedom to control the second-unit and be allowed to outshine the Starters (recall Hornets bench made comebacks in over 11 games where starters had accumulated double digit deficits), Or will they pull JLIN and sit him to further the Tank. Look for Trae Young to get destroyed by Jrue Holiday, there is not a thing defensively that Trae can do to stop Jrue from blowing past, conversely Trae will get a lesson in NBA defensive pressure on undersized rookie PGs. Gm kept emphasizing development, tank will be on if Trae is a bust. Question is, where can we watch or stream the game? Pelicans likely will start E.Payton, who is not really a NBA-level starting PG. Young will get a pass this one and moreover this is just preseason. NBA doesn’t care about defense only about how much youcan score. So many franchise players have bad defense. Looking good so far! Lateral movement is alright. Very nice setups from Lin. Plumblee wasted one. Bembry and VC got it in.